SaftUI is an addon that externally modifies Tukui. This allows you to make modifications to Tukui through SaftUI, and still be able to update Tukui without losing said modifications. 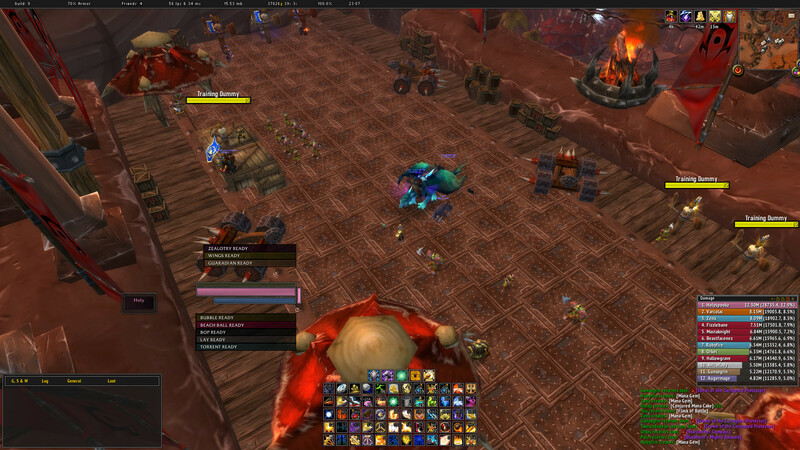 You must have Tukui installed and running for this addon to function properly. 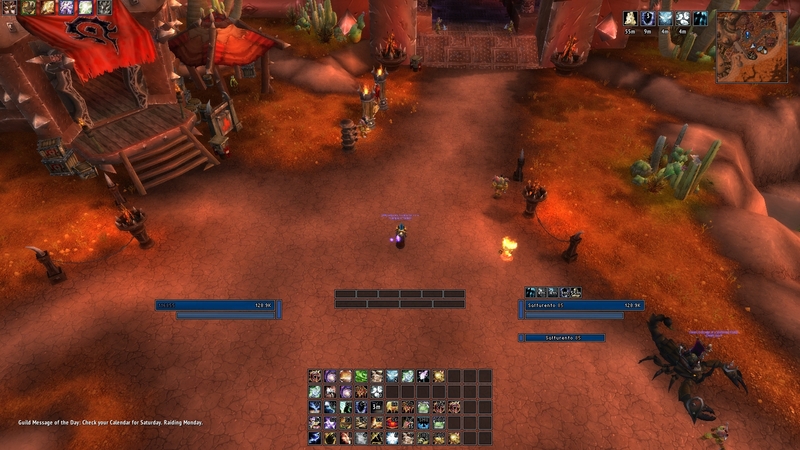 /resetab allows you to reset (after clicking confirmation popup) your action bar configuration. Don't worry, this won't reset your keybinds or anything, just the bar's position. There are two config files that can be used to modify the UI. One is located in SaftUI\config\config.lua, and the other is located in Tukui\config\config.lua. There is also a guide on how to modify Tukui's config externally in Tukui\core\customconfig.lua. To view detailed version changes check out the git commits. Credits to Tukz, Nightcracker, and everyone else at the Tukui community who helped make Tukui what it is today. 2) Getting a problem with the loot window being doc'd to the right (see here) is there a way to fix this? Thanks for your help, love the work. This UI is great, but the only thing that is irking me about it is that my targets' unit frame randomly disappears, but it will appear after battle. Is this a bug, or was this intended? I love this UI but it tends to be tough on the eyes. How would I go about switching the fonts? The font that's used for the battle.net alert would be excellent but any time I've tried overwriting the other fonts with it, the UI tends to not work without any errors to report. Just doesn't load. My eye sight *is* pretty bad but this pixelfont is really hard to see most of the time. The data panel just feels off with the rest of the UI. It maybe could be broken into two and put on the top and bottom of the left chat frame? Or do what Asphyxia did and allow them to be hidden. But as is, it stands out like a sore thumb to me. I love love love the action bar options. I wish more than anything the default TukUI would incorporate this since I know quite a lot of players tend to use various action bar layouts through editing the lua files and quite a few people tend to simply fail at copy/paste. This is the absolute best feature of any edit. Being able to move bars around, resize, cut down the number of buttons within a bar is priceless, especially since TukUI is so popular. As a raider, having the Debuff bar anywhere within the central line of sight is pretty essential. But putting it up by the minimap just doesn't work out well. I could and have made power auras for each boss debuffs (if needed) but it'd be nice to cut down on the number of auras needed to make by seperating the debuffs from the buff bar. 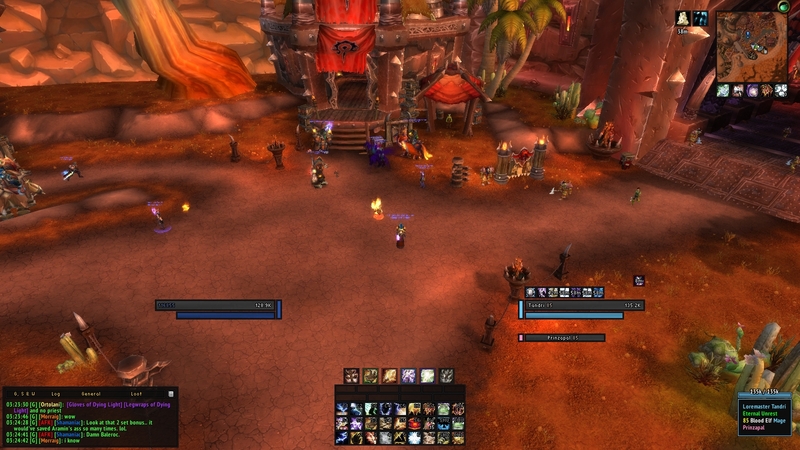 No clues why the v14 or whichever number it started at in 4.3 made Tuk attach the debuffs to the buff bar, other than maybe it's a Blizzard issue preventing it? But, I know it can be done since I've seen a number of edits with debuffs more centralized and not from additional addons. That's it. Thanks for the great UI! Last edited by Bebe4659 : 12-29-11 at 02:09 AM. Love this, but would you mind a adding a little changelog if it's not too much bother. Added a link to the git commits to the addon description. This UI is just stunningly gorgeous, but I have just one question. What are the empty boxes for above your action bars? It seems that the bottom set are for totems, but what are the top ones for? Lightning shield stacks for elemental shamans.